Finally, it’s cross country season! We all might be a little biased, but this is what we’ve been waiting for since last November. There just isn’t anything better than a crisp, cool morning on the course. It’ll still be a few weeks before it gets crisp or cool, but those chilly meets will be here before you know it. We hope everyone is as excited for this new season as we are! Since most of you have recently run in the first few meets, we have just a little advice and takeaways for you to use this 2016 XC season and make it the best one yet. 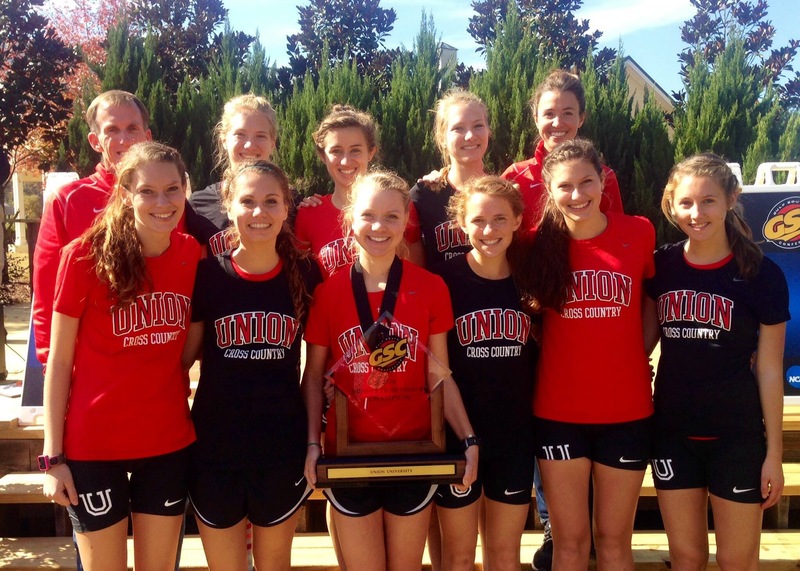 Takeaway #1: Distance runners are made in the summer, but peak in the fall. Let’s be honest, we all would like to bust out a PR in the first race of the season. That’s what you worked for all summer right? Well, not exactly. It’s true, distance runners are made in the summer. But you want your best races to be during championship season when it counts, not the first two meets of the year. So when your first few races are a little slower than you wanted, don’t get frustrated. Those early mornings and long, hot miles while all your other friends were sleeping in weren’t for nothing. Good training in the summer doesn’t mean that you will run your fastest in August and September. Trust your coach and be patient. That discipline and endurance you gained during the summer will pay off come championship season. Takeaway #2: Not all courses were created equal. There’s the course with the killer hill a quarter mile from the finish. There’s the course that’s got so many twists and turns that you’re dizzy by the end. There’s the course that was supposed to flat and fast, but hurricane weather resulted in inches of water and slippery mud. It’s okay. 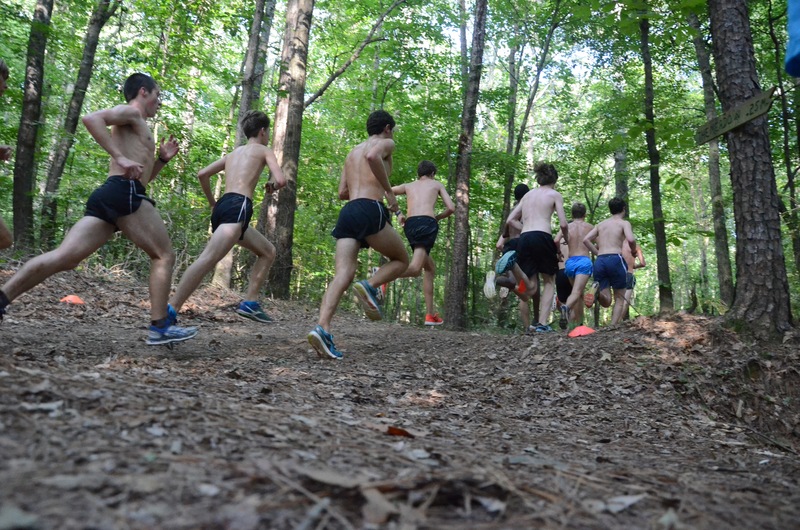 Cross country is about place, not time. Remember, everyone has to work up that hill. You aren’t the only one slipping in the mud. If it feels like you’re running hard, then you probably are. Mile splits are more like guidelines than rules to live by. Don’t be so focused on the clock that you ignore how you’re feeling. In a cross country meet it is important to gauge your effort and position. Focus on your position in the race and be determined to contribute to your team, regardless of the conditions or your time. Takeaway #3: It’s hammer time. It’s time to use the strategies and skills you’ve picked up along the way. At camp we taught you to hammer those nails, to minimize extra movement like crossing your arms across your midline, and to remember your form as you work up the hill. 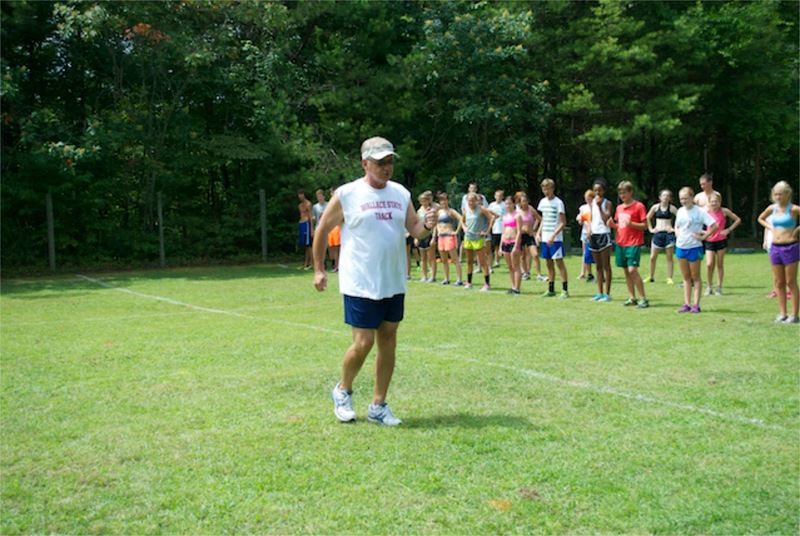 Don’t forget what you learned at camp during races. Good form during the final straight is important, but work on it throughout the race as well. If working on your form feels weird and makes you tired now, who cares? You’ll be stronger and better in championship season if you work hard on improving. Natural talent is great and all, but in the sport of cross country you can’t abandon the small things and expect to win. However, if you can be a stronger and more efficient runner than the athlete next to you, chances are you’ll beat them at the end. We hope that you can find some encouragement from these takeaways. We want you to have an incredible season and continue to grow your love of running. As always, we can’t wait to hear about your success individually and as a team. And finally, remember to run wide open!